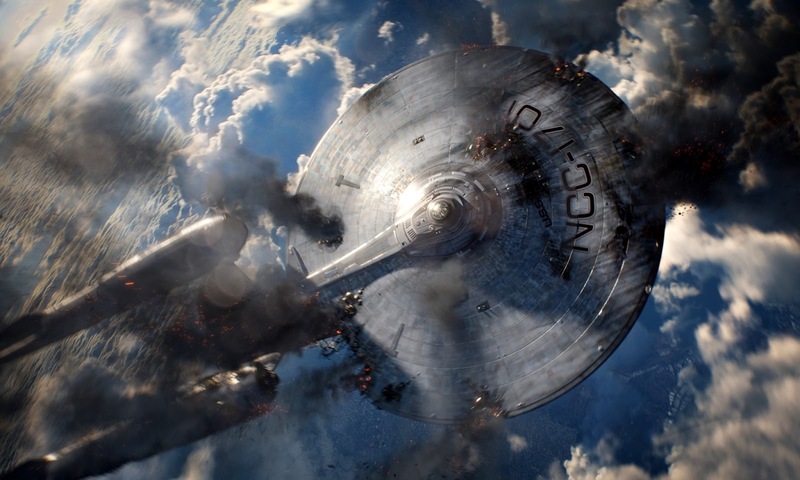 From the manner in which it is constructed to the way it has been marketed, there is an undercurrent of insecurity running throughout Star Trek Into Darkness. That's surprising because 2009's Star Trek reboot did an incredible job of winning converts as well as satisfying fans of its original iteration despite screwing with some well established elements of the 60s science fiction classic. 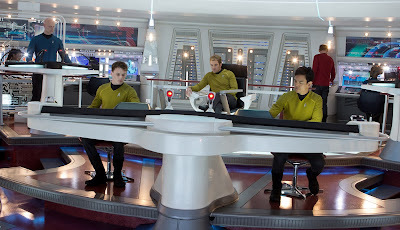 The fact that director J.J. Abrams and his team piled references to previous installments pretty high showed how well versed they had become in Trek lore. The way they exploded Trek's backstory, however, demonstrated how far they were willing to go just to tell a good story. 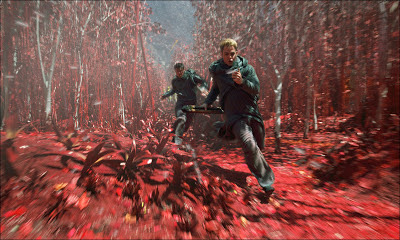 And let's be honest, since at least 1982, Star Trek II: The Wrath of Khan, this movie franchise has basically been spinning its wheels trying to duplicate the highly regarded film, making sure most of its subsequent sequels followed the same pattern (the highly successful Star Trek IV, the whale movie, being the exception). The result is that an allegorical show which was once about the mysteries encountered by a crew of space explorers had transformed into a series of mano-a-manos between the U.S.S. Enterprise's intrepid officers and some monomaniacal villain, typically played by a noted character actor trying to measure up to Ricardo Montalban's deceptively hammy performance as the superhuman Khan. 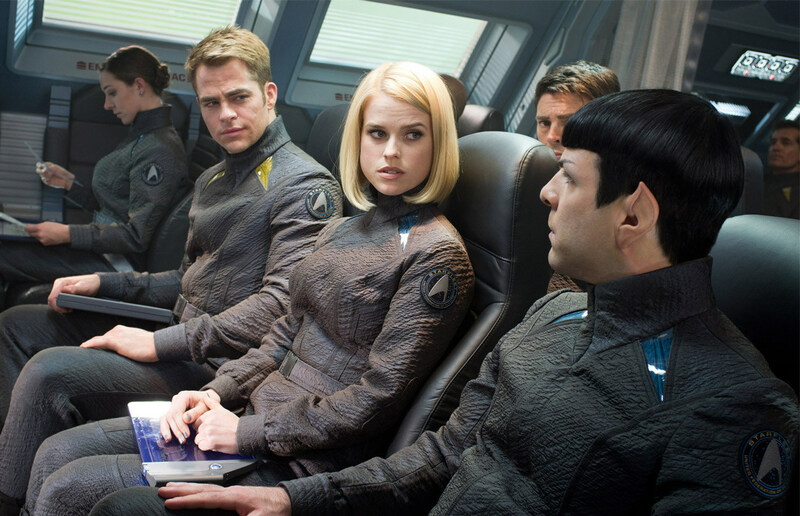 With the 2009 blockbuster, team Abrams had shaken things up enough to finally break Trek out of its self-imposed rut and boldly go in a different direction. An inventive pre-title sequence features a younger, more reckless Captain Kirk (Chris Pine) forcing his crew to break Starfleet's Prime Directive (never interfere with the natural evolution of a less advanced species) in order to save a primitive alien race from a volcanic eruption. It features kaleidoscopically colored alien flora and fauna plus the spectacle of seeing the Enterprise rise out of an ocean and flying over said volcano. 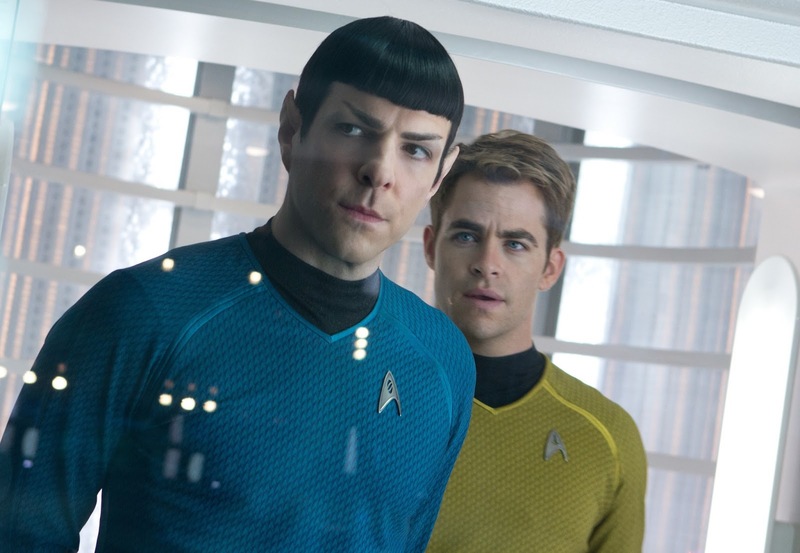 So why does Star Trek Into Darkness feel like just another rehash? After the setpiece, Into Darkness turns inward, into Trek's own labyrinthine history, to retell a story told better once before. Writers (and Trek fans) Roberto Orci, Alex Kurtzman and Damon Lindelof again center their story on a lethal mastermind, the mysterious John Harrison (Benedict Cumberbatch), whose motivations are convoluted by the somersaults the trio of scribes have to perform through ancient Trek mythology in order to not offend its fan base. Another movie which many accused of dabbling in such fan service, the 007 thriller Skyfall, at least had the good sense to sprinkle its references to previous episodes sparingly: an Aston Martin here, fisticuffs on a Turkish train there. With Into Darkness, it's as if the filmmakers still feel like they have to prove their Trek bona fides, once again inviting an original series actor to reprise his beloved role in a cameo and having characters utter things like "Gorn" and "Daystrom" with big, bold letters to comfort fans before demolishing the beloved stories they grew up on anyway in order to sell Star Trek to new fans. A better way of constructing Into Darkness? Give a nod to its canon by depicting the conclusion of a popular previous adventure in its pre-title sequence. Then make a grand departure for parts unknown and tell an exciting NEW tale. It's not like this new version doesn't have a fantastic foundation on which to build on. The headstrong Kirk may not have the precise, got-it-all-together vibe of William Shatner's version, but Pine plays him wonderfully, inspiring empathy from viewers even after making repeated rookie mistakes as the young starship captain. Zachary Quinto's Spock almost erases memories of Leonard Nimoy's version while still paying a considerable amount of respect to it. If the filmmakers do one thing perfectly in Into Darkness it's in capturing the chemistry between the oppositely tempered duo that was absent in the prior film, the way that Kirk's instinctual strengths grow to complement Spock's intellectual ones and vice-versa. Into Darkness even goes a great deal further than other Trek films in restoring the often-ignored Dr. McCoy (Karl Urban) to his proper place in the lead troika as the humane audience surrogate who grounds the other two icons. What Into Darkness also does well is to invest Star Trek with a sense of grandeur, the kind of scope and dark mystery one expects from an adventure about venturing into the final frontier. Too frequently the various Trek spinoffs had forgotten that the vastness of space should necessarily feel inscrutable; the galaxy had begun to feel like one gigantic neighborhood. The original Star Trek had the mystery part down. One never knew from week to week the mortal dangers the Enterprise crew would face. It's not for nothing that the "redshirt" joke arose out of the show; expendable crimson-garbed security men were often dispensed with quickly by grotesque enemies. But the space opera never had a large enough budget to really evoke the kind of scale seen here. Just when you think Into Darkness's starship Enterprise looks appropriately gargantuan, it is dwarfed by an even more monumental battleship. A brief sojourn to the Klingon homeworld is the rare instance when dredging up Trek's history actually seems to expand the boundaries of its universe rather than cause Into Darkness to fold in on itself. And it may point to an unexplored path for the inevitable sequel, an all-out war with the frightening Klingons. 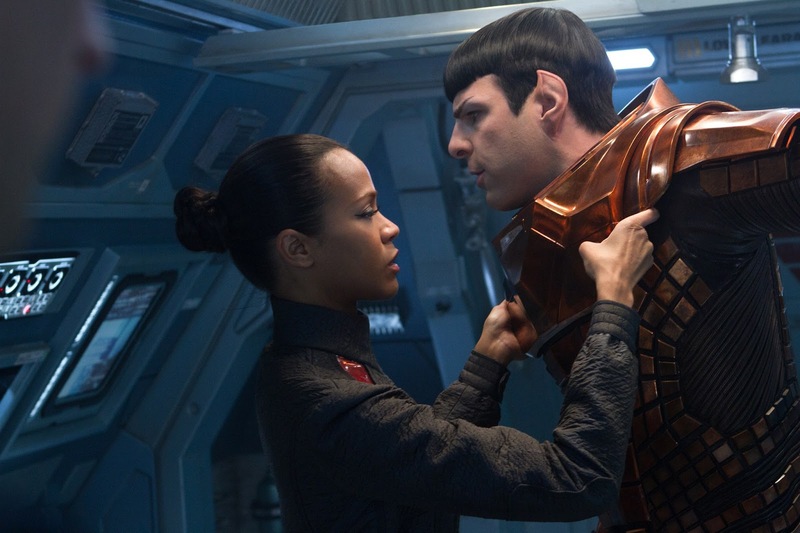 I suspect that one reason Paramount decided to open Star Trek Into Darkness in foreign territories a full week before it opens here today may be that it wanted to set the expected high box office returns overseas as a sort of fundamental reason not to miss the movie. You know... it's made hundreds of millions around the world already, so it has to be a must-see film. But then there are all the weird additional incentives they tied to tickets bought on opening weekend. Those seeing the IMAX "fan sneaks" last night got an exclusive poster. Others who joined the movie's viral campaign got another poster and a free popcorn. Anyone who bought tickets for opening weekend got a free iTunes download of the 2009 feature. Why all the need to bribe the movie's prospective audience? 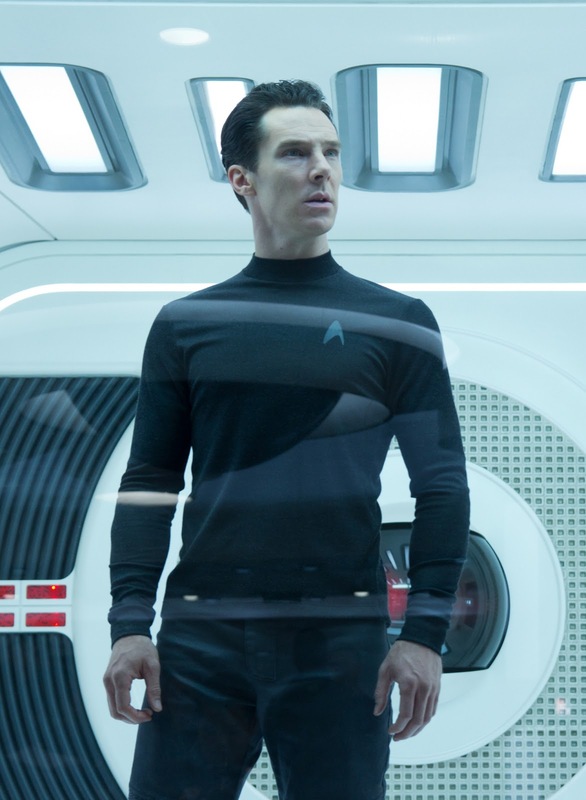 Star Trek Into Darkness ultimately may not play to diehard fans who've stuck with the franchise since its earliest days. But it's a crackerjack enough summer movie filled with exciting exploits and great for introducing a new generation into its fandom fold. 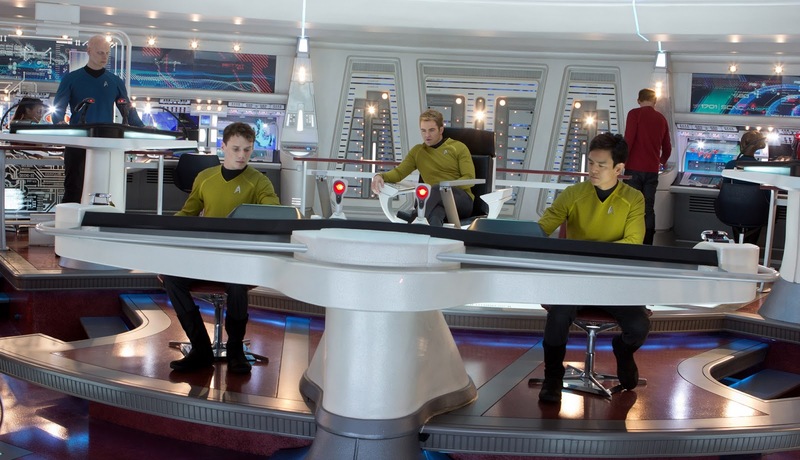 So don't be so apprehensive, new Star Trek. You may have lost me, but you've gained a younger, larger set of fans. And I'll still always have MY Star Trek. Can't wait to see this, I've always enjoyed the Trek films, but don't consider myself a trekkie, I mean, I've seen all of next generation and loved every episode...but, I've never ventured further into the rest of the series that came after. Still, I love all the old movies for different reasons...and I'm looking forward to having a blast with this one, judging by your review, it's going to be one hell of a ride!